Acclaimed Hungarian pianist László Váradi’s began his musical studies at an early age. He attended the Liszt Academy Budapest, School for Special Talents with a focus in piano and then graduated from the Béla Bartók Music Secondary School. He moved into advanced studies at Liszt Music Academy, Budapest, where he received a BA in piano and is currently pursuing a MA in piano. Váradi has been a prize winner in numerous international piano competitions, such as the Novak-Czikker International Piano Competition (2011), Ferenczy György National Piano Competition, Chopin International Piano Competition and X. Rosario Marciano Piano Competition Wienna. In November 2018, he will compete in the Franz Liszt International Music Competition in Los Angeles, USA. He has received special awards for his excellence, including Junior Prima Award (2014), Special Prize of Virtuosos Talent Show for Classical Musicians (2016), Special Prize of the Filharmonia Hungary (2016), and Freeman of City of Jászkisér (2017). In 2017, he was awarded a 5-month-long fellowship from the New National Excellence Program. In addition to performing, he has given masterclasses worldwide including Switzerland, the United States, Norway, Italy and Austria. 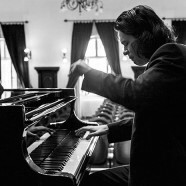 He participated in masterclasses at Liszt Music Academy with David Fray, Maurizio Moretti, Judit Neszlényi, Zoltán Kocsis, Cyprien Katsaris, Tamás Vásáry and Ilona Prunyi. Outside of piano pursuits, he enjoys reading, traveling and listening to music.